The Federal Government decried the poor performance of the foreign trained medical and dental graduates as only 249 succeeded in the examination conducted in November 2017. 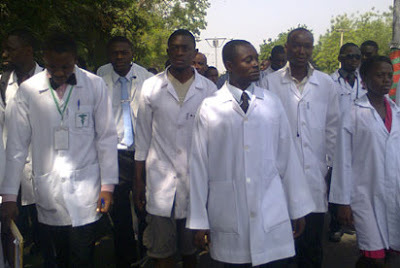 The Minister of Health, Prof. Isaac Adewole, said in Abuja yesterday at the induction of the 243 successful medical doctors and 6 dental graduates that participated in the remedial course and assessment; that is aimed at ensuring the standard of training obtained abroad by candidates measured up to the standard of training in Nigeria. The Minister who was represented by the Permanent Secretary of the ministry, Mr Clement Uwaifo, attributed the poor performance of the candidates to poor standard of foreign institutions they got their training from. He went further to urge parents to be mindful of the kind of institutions they send their children or wards for medical training, adding that majority of those institutions were not listed in the world directory of medical training.